The Internal Medicine Endocrinology, Diabetes, and Metabolism Fellowship at the University of Iowa is a two- to three-year ACGME-accredited program that provides fellows with an outstanding clinical and research education. The program seeks to prepare fellows for careers in clinical and academic medicine, as capable, independent endocrinologists. 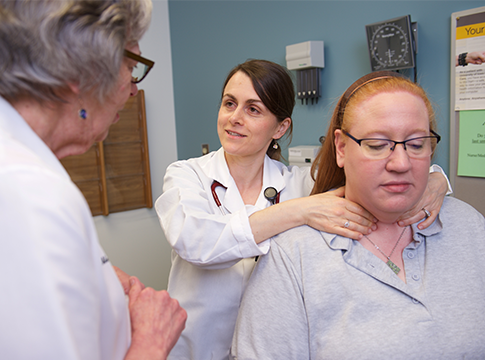 University of Iowa Hospitals & Clinics boasts a strong tradition of medical excellence. The Iowa medical complex includes University of Iowa Hospitals & Clinics, the College of Medicine Medical Laboratories & Medical Research Center, the Eckstein Medical Research Building, and the VA hospital.